The Mequon clinic, scheduled to open in October, will include primary care and urgent care with extended hours, women’s health and obstetrics/gynecology services. Specialty care will include endocrinology, orthopedics and sports medicine, spine care, physical, occupational and speech therapy, podiatry and pain management. The clinic also will provide mammography and other imaging services, as well as laboratory services. In addition, it plans to provide virtual consults and e-visits. Physicians employed by Froedtert & MCW Community Physicians and specialists employed by the Medical College will staff the clinic. The clinic will employ the equivalent of 35 full-time employees. The clinic planned for Oak Creek, in contrast, will employ about 150 people. The Mequon clinic, unlike the clinics in New Berlin and Oak Creek, will not have an ambulatory surgical center. 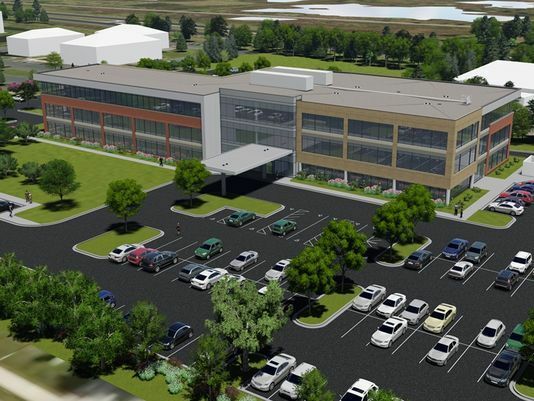 Froedtert Health said the Mequon clinic will have a special emphasis on sports medicine, orthopedics and spine care, including chiropractic, pain management, surgical consults, and physical medicine and rehabilitation. It also will include a sports performance and training facility. The emphasis on orthopedics – one of the most profitable services in health care – will put the clinic in competition with the Aurora Medical Center in Grafton, which has established a large presence in orthopedics, and the Orthopaedic Hospital of Wisconsin in Glendale. The Orthopaedic Hospital of Wisconsin, which is half-owned by Ascension, has ranked among the 10 best hospitals in the country for patient satisfaction and for providing quality care at a lower cost based on Medicare ratings. Columbia St. Mary's Hospital-Ozaukee in Mequon also is part of Ascension. Froedtert Health will lease the clinic from Ryan Companies, the developer. The architect is Eppstein Uhen Architects.